Steel Handi-Hauler utility trailer, 4 x 8 ft. 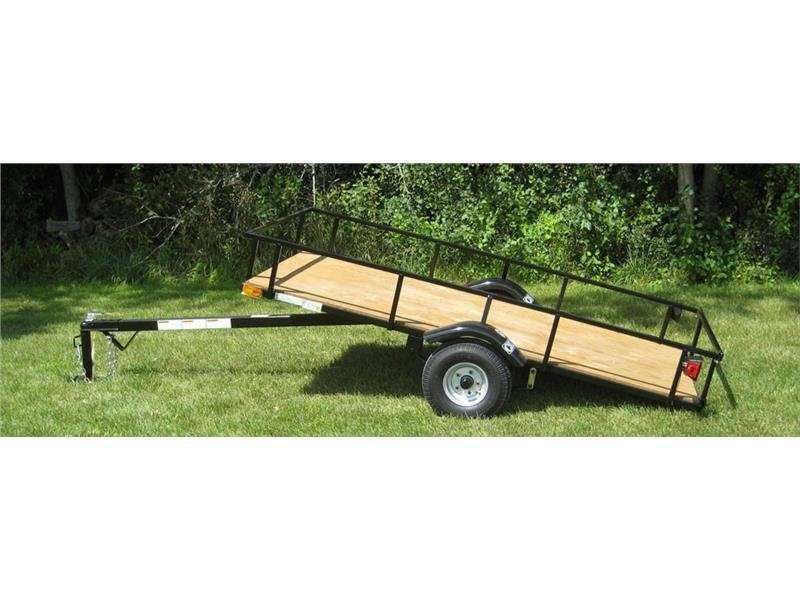 The Chilton Handi-Haulers are multi-purpose utility trailers perfect for hauling golf carts, all-terrain vehicles, motorcycles, and other equipment. Optional wood sides can be added to give you the versatility of hauling firewood or other materials when not hauling your vehicles. Four different deck size widths will accommodate lawn equipment from 21 in. walk behind mowers to 72 in. zero turn mowers or larger utility vehicles. Loading is made easy with an expanded metal loading ramp. Plus, these trailers pull with ease behind today's smaller vehicles. 5.70 x 8 LR "C"